The regulator, the ACCC, commenced legal proceedings in 2013 against Coles Supermarkets because its “Baked Fresh” signage was misleading, and gave Coles an unfair competitive advantage over “smaller bakery businesses which are genuinely offering a differentiated product”. The Federal Court of Australia in Australian Competition and Consumer Commission (“ACCC”) v Coles Supermarkets Australia Pty Limited  FCA 634 (Allsop CJ) has found that some of the fresh bread for sale at Coles was half baked, not freshly baked, and therefore the Coles signage and marketing was likely to mislead the public and was in breach of sections 18(1) (misleading conduct), 29(1)(a) (misleading product history) and 33 (misleading manufacturing process) of the Australian Consumer Law. The court will make orders reflecting the decision. What marketing lessons can we draw from the judgment? What is “Freshly Baked” bread? The ACCC’s case was that by marketing its bread as “Baked Today, Sold Today”, “Freshly Baked” “Baked Fresh” and “Freshly Baked In-Store” Coles was misleading the public about how some of the bread had been prepared. The ACCC calls these credence claims. Scratch: the baker mixes the ingredients, kneads the dough, shapes and proves it, then bakes it in the oven on site. Frozen dough: the dough is mixed off site, shaped and frozen in a baking mould; when it is delivered, the baker thaws, proves and bakes the dough in the oven. Par-baked: the dough is prepared, shaped, proved, part-baked, and snap frozen off site; when it is delivered, the baker thaws and re-bakes the product until it is “finished” in the baker’s oven. The ACCC accepted that bread made from scratch or from frozen dough was correctly marketed as fresh. The ACCC claimed that marketing the par-baked bread as fresh bread was misleading. There are no legal definitions for “baked” or “fresh” in the Australian Consumer Law. Therefore the ACCC asked the Federal Court to define these terms. 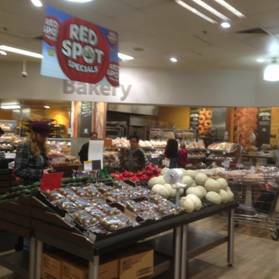 The ACCC accepted that Coles could use the phrase “Baked In-Store” for the par-baked bread which Coles re-bakes in the store. The problem was not with use of the word “baked” it was with the word “fresh”. The ACCC said that par-baked bread should not be marketed as “Fresh” or “Baked Today” because members of the public would wrongly assume that the complete process of bread manufacture took place at the Coles Bakery in the store that day. Coles said that the word fresh differentiated between commercially manufactured bread made with preservatives which lasts for days, and its “freshly baked” bread which went stale and was perishable like “fresh fruit”. 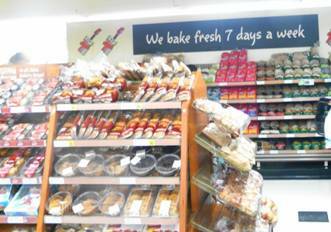 Coles also said that “fresh” connoted “recent” rather than complete baking from scratch. And in any case, the public would take the use of the word fresh in advertising with a ‘pinch of salt’. Coles presented evidence of similar advertising and phrases used by competitors who used all three methods to prepare bread, to demonstrate that that the public would know that the bread may be par-baked and re-baked, rather than baked from scratch or from frozen dough. Chief Justice Allsop concluded: “To many reasonable and ordinary people, the phrase “baked today, sold today” ... is not a statement that some baking took place today ... of a par-baked product. ... The use of the words “fresh” or “freshly” adds a further dimension. ... What is sought to be conveyed is a fresh baking process, not a baking process of par-baked frozen product”. He considered that point of sale materials called ‘barker cards’ which stated how the bread was prepared were inadequate as a disclaimer to remove the misleading impression of the signage and the packaging because “the positioning of these cards and the size of the print [make] it highly doubtful whether many people, if any, would read them.” He also said that the disclaimer on the Coles website was inadequate for the same reasons. He did not rule out it was possible for a retailer to sell bread “par-baked from frozen product, praising its virtues, but not misleading the public” but did not offer any marketing advice. What does the decision mean for credence claims in the food industry? 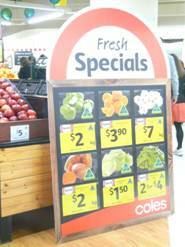 As it does before commencing proceedings in cases such as these, the ACCC served a “Notice to Produce” upon Coles. 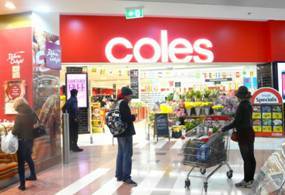 Coles produced internal marketing documents, power point presentations and email strings. Coles contested their admissibility into evidence. The Court found that none were admissible as admissions against Coles, and that their weight and effect was marginal. One of the par-baked breads Coles sold was Cuisine Royale, which had been initially baked in Ireland. The UK Food Standards Agency has published criteria for the use of the term “fresh” in food labelling in 2008. It stated that the terms “freshly baked” or “baked in store” or “oven fresh” should not be applied to part-baked bread products because it “may mislead consumers into believing that they are being offered products that have been freshly produced on site from basic raw materials”. It is possible that the ACCC was referencing these criteria. Where should the ACCC stop? The decision raises questions about the use of the word fresh for any food products, not only bread. How fresh is an apple sold out of season, if has been in cold storage for months? Should there be a blanket ban on using the word fresh for products that have been frozen in the supply chain? A marketing perspective on the decision follows. The ACCC targeted Coles because it deemed the words ‘baked fresh’ were misleading and unfair to smaller bakery businesses. However it is likely that Coles had Woolworths clearly in its sights, rather than the smaller bakeries. The grocery business in Australia is a $111 billion (according to KPMG’s State of the Industry 2013’ report) business with the top two retailers Coles and Woolworths collectively holding ~80% share of the total grocery market. This compares to 48% in the UK, 44% in France and only 24% combined market share of the top two grocery retailers in the USA. So are meat, fruit and vegetables that have been stored for an extended period still truly ‘fresh’? According to the Australian Competition and Consumer Commission’s Food Descriptors Guideline (2006): ‘fresh’ refers to food put on sale as early as possible and as close to the state it would be in at the time of picking, catching or producing; the term ‘fresh’ generally implies that food has not been frozen or preserved; and as some foods stay fresh longer than others, it is not appropriate to give specific guidance on all foods. Emboldened by their win, expect to see ‘fresh’ fruit and vegetables, juice, meat and flowers under scrutiny for their ‘fresh’ claims. What implications are there for Woolworths with the longstanding brand position and tagline as ‘Australia’s Fresh Food People’? What are the implications for every business that advertises fresh bread, fresh fruit, fresh juice or fresh produce? We may not have long to wait before the ACCC aims for a fresh target!